Today, I’d planned another kind of post. Usually my new year kick-off is publishing options for twenty-whatever. I began to write it. I realised as I did that not much had changed. What I’d say for 2017 is much the same as I’d said in 2016. And when I wrote 2016’s post I referred heavily to 2015’s. I’d lined up some good reference posts – Mark Coker of Smashwords, who looked back at 10 years of ebooks and forward to how the publishing ecosystem will continue to evolve. And to Jane Friedman, who give some great pointers for sizing up a publishing offer from a small imprint. But lordy, it was a slog. I felt like I was rehashing material I’d already tackled exhaustively. Planet Earth did not need another article about how to publish wisely in 2017. And then, by chance, out of my radio come Messrs Eno and Vine. Take your imagination seriously. I thought that’s IT. That’s how I want to go into 2017. While we’re figuring out whether to self-publish or look for a deal, or mix a trad indie cocktail never tasted before, we must not lose sight of this. What we do is about creation. Listening to what interests us, moves us. Growing as artistic, communicative beings, finding things that seem to peel back something we must say about our world and our lives. This is where the joy of our work comes from, where we make our distinctive contribution. At a time when we’re all making resolutions, and resolutions to help us keep our resolutions, and tips for success, I’d like to offer this one. Who’s with me? Today I gave a speech at The Oldie literary lunch (which was very exciting!) and they asked me to explain about making ebooks. I promised a post to distil the important details, and save them from squinting at their notes and wondering if that scrawl really does say ‘Smashwords’, and indeed what that alien name might mean. If you already know how to publish ebooks you can probably skip most of this. However, you might find some of the links and reading list useful, or pass them on to a friend. And if you’re here from The Oldie – hello again. Nice to have you visit. It’s easy. Really easy. If you can format a Word file, you can make an ebook. It’s more complicated if you have footnotes or multiple headings that might need to be visually distinguished, or you want graphics (which might not be advisable) but it’s generally easy. Have I said that often enough? 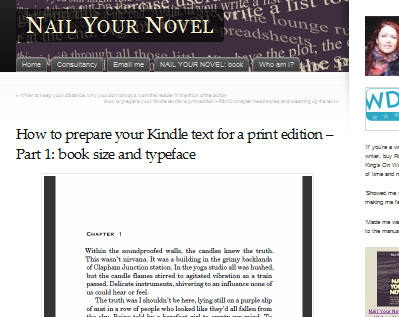 Here’s my post on how to format for Kindle, in which you’ll see how I had to be dragged into the ebook revolution. But by all the atoms in the heavens, I’m glad I was. You’ll also see the original, grey cover of the book that now looks like this. If you’re publishing a book that previously appeared in print, you might not have the polished Word file with all the copy editing and proofreading adjustments. Often, the author sees the later proofing stages on paper only, and any adjustments are done at the publisher. If you can get the final Word file, that’s simplest. If not, try to get a PDF, which will have been used to make the book’s interior. You can copy the text off a PDF and paste it into a Word document. You’ll have to do quite a lot of clean-up as this will also copy all the page numbers and headers, and there will be invisible characters such as carriage returns. You’ll need to edit all of these out by hand. Sometimes PDFs are locked. You can’t copy the text off by normal methods, but you can find a way round it with free online apps. Dig around Google and see what you find. Another option is to scan a print copy. Depending on the clarity of the printing and whether the pages have yellowed, you may end up with errors and gobbledygook words, so again you’re in for a clean-up job. You’ll need a thorough proof-read as some scanners will misread letter combinations – eg ‘cl’ may be transformed into ‘d’ and your spellcheck won’t know that you meant to say ‘dose’ instead of ‘close’. But it’s quicker than retyping the entire book. There are two main ebook formats. 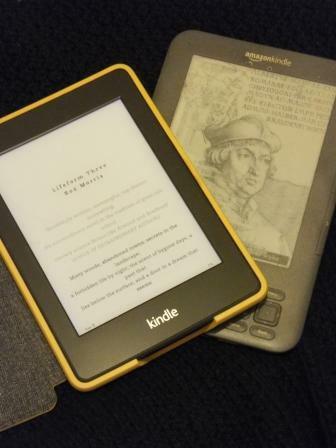 Mobi (used on Amazon’s Kindle device) and epub (used on many other devices). They are both made in much the same way, and the instructions in my basic how-to-format post are good for both. PDFs are also sold on some sites. Where do you get a good cover designer? See the books list below. In traditional publishing, a manuscript goes through a number of stages – developmental editing, copy editing and proof reading. If you’ve done this, go straight to formatting your manuscript. Otherwise, the following posts will help you understand what you need to do. 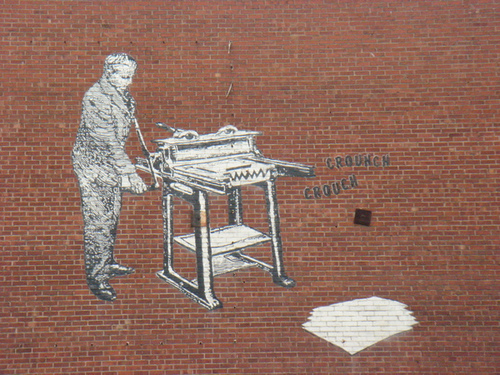 Where will self-publishing get quality control? Daunted by the thought of an editor with an evil sneer and a red pen? Fear not, we respect you more than you know. The main DIY platforms to sell your ebooks are Amazon Kindle Direct Publishing, Kobo Writing Life and Smashwords (you’re getting used to that name now). Publishing on them is free and they’re simple to use. You can publish direct to ibooks, but that’s not easy unless you have a PhD in Mac. And a Mac. Besides, Smashwords (ta-daaah) will publish to ibooks for you. There are other platforms that act as intermediaries, for a greater or lesser fee, and greater or lesser advantage. So before you spend money on self-publishing services, read this. Beware of sharks. If you get what appears to be a publishing offer, read this. And, er, that’s it. Any questions? Tomorrow (or maybe today or last week, depending on when you’re served this post) I’ll be taking part in a Book Industry Communication debate on the future of ISBNs. I’m providing the author perspective, so as part of my research I canvassed opinions to see what the mood is. Much of the feedback centred on whether authors should buy ISBNs or use the free ones from CreateSpace, Smashwords et al. There were sound arguments on each side. But what emerged for me was the way self-publishers view ourselves. It’s a snapshot of our times that goes a lot further than a little piece of industry bureaucracy. Julia Jones, one of my co-conspirators at Authors Electric, said she bought ISBNs ‘to behave like a publisher in every way’ – a view shared by many. Plenty of authors feel to have their own ISBN is more professional, lets you be seen and counted, and gives you control. Now that’s a very interesting view. We’ll return to that in a moment. Most striking was Dan Holloway, who publishes experimental fiction and poetry – both his own and that of others. He doesn’t use ISBNs at all – even for printed books. He says: ‘I write and publish for a niche, dedicated audience, providing an experience they can’t get elsewhere. I work with selected independent bookstores and galleries and send customers to them for my books, rather than having my books available everywhere.’ He’s not even on Amazon. You might think this is a recipe for obscurity. Au contraire, Dan’s ISBN-free books have twice received special mentions for the Guardian‘s first book award, been shortlisted for the Guardian‘s Not the Booker Prize, and been voted ‘favourite Oxford novel’ by readers at the Oxford branch of Blackwell’s. Author or publisher? Or something else? I keep coming back to Michael’s interesting distinction and I think he’s nailed something important. 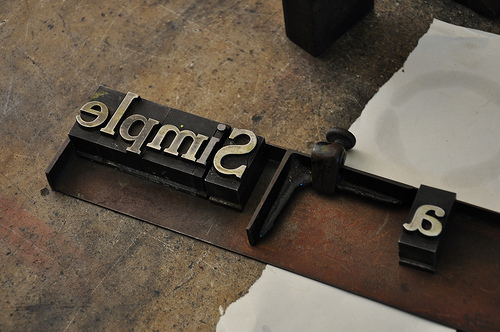 Certainly I put most effort into building an identity as an author rather than a publisher. Like Dan, I am most keen to find people who like my imagination and preoccupations, my way of thinking. Having said that, I like publishing and I want to publish myself; I enjoy the control and creativity. I can also, if needed, wave a CV that demonstrates years as a production editor/chief sub/editorial manager, so perhaps that’s why it’s no big deal for me and you should discount my view as I’m not typical of self-publishers. Other authors feel ISBNs are an important part of their brand and image – one of many signifiers of their professionalism. 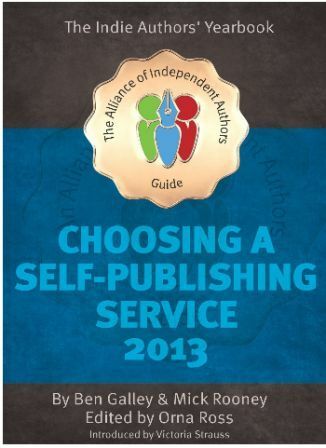 Now, more than ever, there is no ‘one right way’ to self-publish well. We’re all finding our own paths. You might be a Dan, a Julia, a Roz, a Joanna. Most probably you’re something else again. I’d love to know. Oh, and wish me luck tomorrow. What kind of self-publisher are you? As indies get ever more professional, an entire service industry is springing up to offer us services for every occasion. At this year’s London Book Fair, the Authors’ Lounge was heaving with suppliers, and no shortage of willing customers. While it’s great to have access to these, authors are ripe for rip-off. This week David Gaughran highlighted unscrupulous companies that charge exorbitant prices, or hoodwink authors into paying for services that could be obtained for very little or no cost. So this post is a self-publishing 101; a catch-up for those who are wondering what they need to spend money on. In some cases, knowledge is the answer; all books, authors and genres are different, and one supplier does not fit all. It’s virtually impossible to publish a book without any expenditure, but we can make sure we use our budgets wisely – and stop writers filling the pockets of unscrupulous suppliers who are getting rich on our dreams. Some authors don’t know they can create their own user accounts on Smashwords, Kindle Direct Publishing, Kobo and CreateSpace. Or how simple it is – basically, no more difficult than entering your details in a mail-order website. Some companies offer to upload your books through their account, but this is unnecessary. Even if you don’t make the files yourself, you can still upload them. If your service company went out of business, what would happen to your book listings? Moreover, if a third party controls your access to these publishing platforms, it’s harder to adjust your book’s appearance and description – which as you’ll see is essential to successful self-publishing. 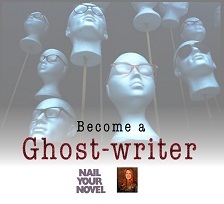 This week, as you may have gathered, I published the follow-up to Nail Your Novel. I was rusty with the e-platforms, but it didn’t take long to get reacquainted. Basic ebook formatting is dead simple if you can use Word on an everyday average level. You don’t need to be a wizard, but you do have to be meticulous. The best instructions are at the Smashwords Style Guide, a free book with diagrams and reassuringly clear instructions. 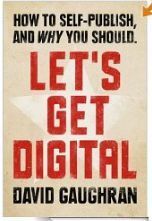 There are a couple of other useful links in this post I wrote 2 years ago when I first ventured onto Kindle. I reread them when I uploaded my new book last week and it all went smoothly. Indeed, if you have Scrivener, it will format ebooks for you. Print books are more tricky than ebooks, and amateur ones can look dreadful. But there are various tools to help beginners do a good job for very little money. I recommend you read Catherine Ryan Howard’s book Self-Printed, which I used the first time I ventured onto CreateSpace and I still keep to hand to remind myself how to set up a book. She also has a ton of other useful guidance on book formatting. How do you make the interior? CreateSpace provides Word templates, if you need help (although I make my books in a design program and upload a PDF). CS templates are pretty plain, and Word isn’t ideal for interior formatting, but it’s fine for novels, which require hardly any design. In any case, a neat finish isn’t created by fancy typesetting, it’s from consistency and readability – and you can find a post I wrote on that here. If you want a slicker look for little money, try Joel Friedlander’s book design templates for use in Word. Joel has created interiors that you graft your text into – which is exactly what happens when books are designed in mainstream publishers (although they don’t use Word). Which print-on-demand company should you use? There are two main options: Lightning Source and CreateSpace. LS isn’t suitable for beginners. It costs to start a book project and proofs are expensive. CS, though, is free to set up and holds your hand. Here’s a post I wrote comparing the two for novice publishers. A great cover is money well spent. But you need to take creative control because you could end up with something unsuitable, horrible, or even illegal if the designer downloaded images from Google instead of sourcing them legitimately. This happens. When you hire a cover designer, you need to know how to choose them and how to know when the job has been done properly. Identify your genre, familiarise yourself with its most successful covers, then you’ll know how to judge which designer is right for your book. Here’s a post I wrote recently on getting a cover designed. With marketing, learn as much as you can before you hire publicists or buy advertising. I’ve learned a lot from Joanna Penn’s blog, and this is where I’d send you too. Not all marketing has to cost money. Book descriptions, price point, tagging, titling and categorisation will all affect whether your book can be found by its ideal readers and you can experiment and tweak ad infinitum. (Remember I said you don’t want to have to ask a third party whenever you adjust your book’s back end? This is a good reason why.) You might find you know more about marketing than you realise, as I did when I was asked to write this guest post. It’s worth hiring expertise to help you with these and it’s unlikely that you can do it cheap. But you can choose wisely: here’s my post on issues to be aware of. What other warnings and tips would you add to my self-publishing 101? 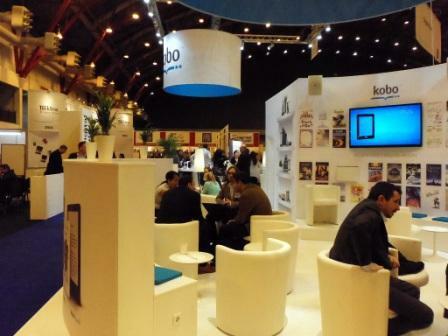 Last week I was one of Kobo’s writers in residence at the London Book Fair. Several of the questions I was asked reminded me that every day, writers are trying to grasp this new publishing world. I thought it might be helpful to post their FAQs. Should I post samples of my book on my blog to tempt people to buy? You could, but you don’t need to. The ebook stores offer a sample of the beginning before readers buy. Here are two other things I do. I use the eye-catching animated widget from Bookbuzzr (here’s Nail Your Novel). I also have an audio file of the first 4 chapters of my novel – 35 minutes of listening, perfect for a commute. It’s either downloadable (hosted as a file in Google Docs) or there’s an immediate-play version on Soundcloud. Should I make a print edition? If you’re going to meet readers in real life, yes. For my talk, I’d brought along print copies. When I pulled them out of my bag, the reaction was immediate and adoring, as if they were fluffy kittens. Even from the Kobo staff. People picked the books up, flicked through the pages, stroked the spine, read the back (spine and back covers are as important as front). I was amazed, actually, at how much impact a print edition makes. Which services should I pay for? If your book is traditionally published, the publisher does a lot of jobs you’re probably not aware of. Developmental editing, copy editing, proofing, design of cover and interior, typesetting and ebook formatting. 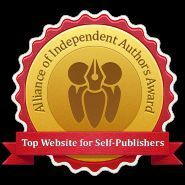 It’s a growing business to offer these services to indie authors, so The Alliance of Independent Authors has released Choosing a Self-Publishing Service 2013, with testimonials and warnings where necessary. Before you part with any money, get this book. What can I do to market my book? Amazon had some sensible replies: get a stand-out cover, choose categories wisely, write a cracking blurb, get honest reviews, generate curiosity about your work. And (the representative said this with an embarrassed cough): make sure the book is good. Kobo’s Mark Lefebvre (on Twitter as @MarkLeslie) gave a rousing presentation on writers connecting with readers. One method was ‘street teams’. Remember The Tufty Club? These days, post-Tufty writers are inviting fans to join dedicated sites and giving away special editions, tie-in jewellery, bags and temporary tattoos. If it fits your genre (I can’t quite imagine a red piano tattoo myself) you could make up a few as competition giveaways. Another tactic Mark described was authors who band together as a bigger presence. Group blogs in a genre such as Crime Fiction Collective, author collectives (such as Triskele Books and Authors Electric) curated collections such as the League of Extraordinary Authors). 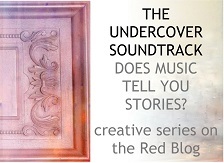 And of course there are themed blogs like my Undercover Soundtrack. One of the takeaways is that marketing isn’t one-shot. It’s about staying visible, steadily and sustainably. As with the editorial and production services, there are a lot of marketing companies who’ll take authors’ money for campaigns, but you don’t have to do that. You don’t need a big budget to keep your work on the radar, you just need imagination and likeminded souls. Paid advertising and publicity has its place but there’s a lot you can do yourself. If you follow my writing advice stream you might have noticed I changed my handle from @DirtyWhiteCandy to @NailYourNovel. @DirtyWhiteCandy was the original name of my blog. I kept it as my Twitter name because I liked its bossy vibe, but as the years go on, fewer people would know (or care) where it came from and if people are looking for writing advice they’d be more likely to follow a tweep called @NailYourNovel. These days, indie author-publishers are looking smart and slick, rather than roguishly maverick. So, much as I liked the @DirtyWhiteCandy story and sass, it has to go. FAQ: Should I submit to publishers and agents or should I self-publish? Hmm. Sound of teeth being sucked. Look back over this post and you’ll see the amount of work involved in publishing. You don’t just write a book, upload and hope the fairies tell the world. You need expert help to create it and you need partners to spread the word. Publishers and agents can be your allies if the deal is right. One of the highlights for many was the heaving turnout at the Author Lounge in the digital quarter. Every author event was swarming with eager listeners. 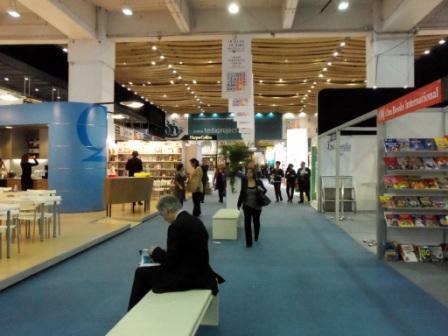 Authors report overhearing agents muttering about tumbleweed blowing through the foreign rights section, while on the upstart digital stands, all was abuzz. But don’t be misled. In our own corner authors were calling the shots, but the rest of the conference told a different story. On the Sunday before the main fair, there was the Digital Minds Conference. The keynote speech was given by Neil Gaiman. I have to wonder what the delegates were meant to learn from him about digital media. LBF’s press releases made much of the fact that he blogs and has a lot of Twitter followers. But, my friends, that’s because he was traditionally published. The publishers may have lauded themselves for inviting an author to tell them the way ahead, but they chose one who reinforces their faith in the old model. Even in his struggling years, Gaiman wasn’t like most new authors, writing books on spec while having another job. He was a contractor at DC Comics, getting paid while he made the work that made his name. In fact, why didn’t they ask JK Rowling, who famously lived hand to mouth while writing? Better still, their figurehead could have been a bestselling indie author who made their success purely from publishing’s new digital tools. Hugh Howey, anybody? Instead they had Gaiman comparing publishing with a dandelion, throwing seeds out haphazardly and seeing what works. Elsewhere at the Fair, the authors weren’t getting much credit. I went to the session on digital storytelling. This featured a panel of publishers and developers, but no actual storytellers – the authors. 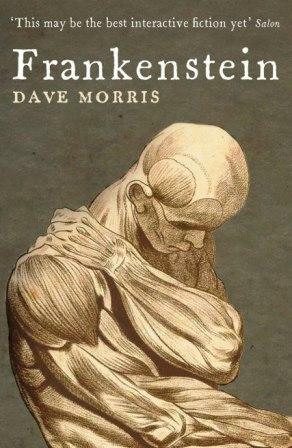 One of the panel members, Henry Volans of Faber Digital, wrote an accompanying piece for the Bookseller, in which he mentioned Dave’s Frankenstein app. He credited it to the publisher, Profile Books, and the developer, Inkle. He never mentioned Dave, the author. Now, forgive the personal bias but I hope you’ll see it illustrates a wider point. Dave had the entire idea. He pitched it to Profile, figured out how to make it work, reenvisioned and expanded the entire novel to the tune of 150,000 words. (Here are his posts in case you’re curious: part 1, 2 and 3.) 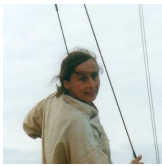 The developer (Inkle) was hired by the publisher to add software and graphics. The reader’s experience comes mainly from the writing, not the pictures or the machinery. Just two examples, but they betray a general attitude. In an era of revolutions, who gives publishers hope? Somebody who’s conquered the new world? No, a lovable demi-god of the old one. Who might tell them what new products the book might evolve into? The people who understand readers so well they can push the artform onwards? No, the middle men. Authors still aren’t seen as significant contributors to the industry. And this is reflected in the deals publishers offer. They know you’re far more heavily invested in your book than they are and they’ll take unforgivable advantage. They’ll word the contract with woolly clauses that say ‘at our discretion’ and ‘in our opinion’, which mean they can do whatever they like with your rights and your manuscript. They’ll help you with the launch for a couple of weeks, after which you’ll be as alone as if you’d self-published, only you’ll make even less money. Leaving aside the emotional attachment, they have no idea that the work you put in on the average book probably amounts to two man years, and their contribution is a few man months. Just tell me, should I seek a publisher? I still think if you’re new to the industry you should query, because you never know what opportunities you might find. You might get feedback that helps you make the book better, or confirms you’re ready to reach out to the market in whatever way suits you. An agent is probably more help to you at the moment than a publisher. Even if they don’t get you a deal, it’s a contact in the industry, should you need it. But also consider the agent’s motivation. They’re not risk-takers or talent-nurturers. They want you to make a deal, otherwise they don’t get paid. You might get an offer that looks like quite a lot of money, but it might be all you see and the terms might be punitive. Publishers at the moment don’t seem to be worth the bother. Smart authors can do better for themselves, but this can’t continue. For a while, publishers will bluster on, trying to keep things the way they are. But in a few years’ time, they might be offering true partnerships and fair, transparent deals. Bottom line? Explore all your options. Treat publishers like any other partnership or service you might use. 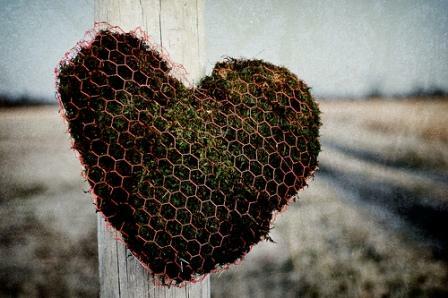 Evaluate what they will do for you and what you will give them. Self-publishing offers you a powerful walk-away point, which you can use as a bargaining chip even if you want a traditional deal. Thanks to everyone who dropped in to see me at LBF! If this post hasn’t bludgeoned you with options and confusion, is there anything else you’d like to ask about publishing? I’ve had a question from Jennifer Ibarra. How exact do story milestones have to be? I did a lot of planning and put them in the ‘right’ points in the story (25% for the first turning point, half way for the midpoint, 75% for the second turning point). But they’re off by 1-2k words. Will the story feel unbalanced? Or should I keep trimming and adding? Let’s backtrack. Stories have natural turning points, where the plot increases the pressure on the characters. When you build a story from beats (episodes where something changes) you’ll find they often fall into a pattern (usually used in movies). 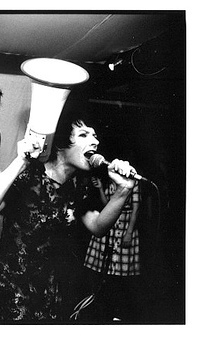 Act 1, the first quarter, is the set-up with the event that begins all the trouble – the inciting incident. Act 2 is the second two quarters, where the problem is being actively tackled and confronted. Act 3, the last quarter, is the resolution. In each of these phases, the stakes change, and the protagonists’ goals and feelings change. How exact do these act points have to be? If you’re writing for TV they matter to the minute. Movies could be more fluid, but commercial studio executives are so used to formulae and paradigms that they only commission stories that fit it. And they go to expensive conferences that reinforce this so it becomes holy writ. They do indeed. And that’s good. Stories are organic. You can’t rush certain sections to get them to a plot point or you might race ahead of the reader. Curiously, when that happens, they might tell you you’re going too slowly. In fact, you might need to slow even more, make sure the reader understands why the scene’s events are important. Remember, these plot points are emotional crescendos. They are times of greatest tension, pressure and surprise. 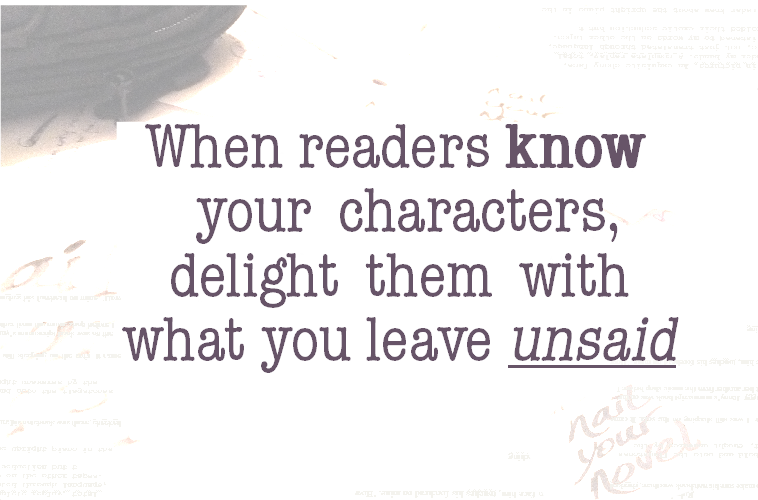 And they work because of how you’ve primed the reader. Here’s an example in action. 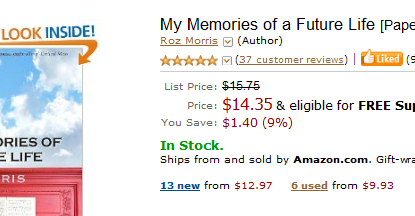 My Memories of a Future Life is 102k words. When I released it in episodes, I aimed for roughly 25k words each. I actually got 26k, 31k, 19k and 28k. In Act 2 we’ve settled down. We’re involved with the characters enough to be curious about their back story and lives. (I could have added the black dress scene here, but the moment for it was gone.) At the same time, the complications are thickening. In Act 3, we’ve turned a corner. Situations get worse, problems are more desperate. There won’t be much new material because this is a phase of consequences. Bad choices come back to bite. Fuses burn up. We’re building to a crisis. Act 4 is the climax, and the reader will be turning pages fast. But it has a lot to pack in. The denouement will be intense and pressured. There will be reversals where it doesn’t go as planned, and moments when all seems lost. There will be revelations. Each of these story beats will need immense space, as if time has slowed down, to do justice to their impact and to allow the characters to react and adjust. 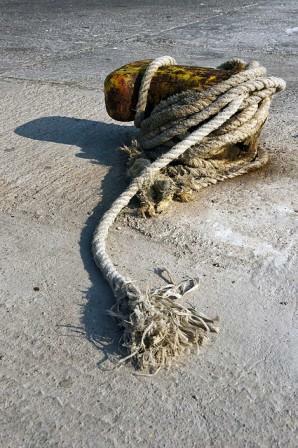 There will be many ends to tie. After the final action, you don’t just tip the reader into the street, blinking. You need a leave-taking, to send the characters on into new lives. The reader knows they’ll be leaving them behind, so will savour the chance for a few less-pressured, appreciative moments before parting for good. Here we can see there are good, organic reasons why each act may not hit the same wordcount, even though it will feel near enough to the reader. Although there’s a lot that novel-writers can learn from movie storytelling, the media are not the same. The popular prophets of the three (or four)-act structure – Robert McKee, Syd Field and Blake Snyder – are script doctors. They’re not talking about novels and they probably don’t read them. Indeed movies and TV have to fudge the plot points with fillers – extra miles in a chase, a scene where the character polishes his revolver and stares into a glass of whisky. There’s usually music or a montage to divert the audience’s attention from a scene that’s spinning its wheels. In novels you can’t use fillers; they don’t work. And what’s more, you don’t have to. So Jen, you’ve already done enough. You’re writing in a medium that allows you different act lengths. Enjoy it! What would you say to Jen? 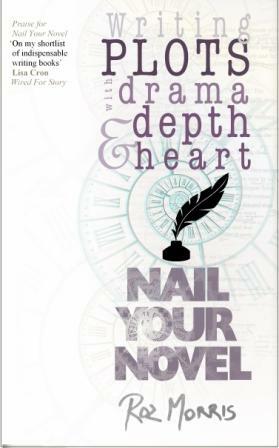 Update December 2014: if you liked this discussion, you’ll find loads more in Writing Plots With Drama, Depth & Heart: Nail Your Novel – which is launching right now! Special pre-release price if you reserve a copy before 5 January. Book design, distribution and marketing – CreateSpace or Lightning Source for my print edition? Philippa: My book is a poetic history of scientific thought. It’s a dip-in-and-return work, most likely to be read in print (although I will put it out as an ebook too). I have seen some VERY amateurish CS-designed books, fairly dire, and some acceptable ones. Eek, I take it you’re referring to the covers? CS offers templates for covers and urges you to use them, but I recommend you don’t. For one thing, they’re familiar enough that they yell ‘CreateSpace!’ to anyone who’s been on the CS site. Not that there’s any stigma, but you want your cover to yell about your book, not the company whose rather recognisable template you used. You don’t have to use CS templates. You can upload a PDF, created by any package you want, either by yourself or a designer, so long as you leave space for their barcode and calculate the correct spine width from your page count. They give you an easy help page to get this all right – and indeed they have excellent help resources in the CS Community. Although covers may look easy, if you don’t have experience, please, please use a designer. Your book is intended to be taken seriously and it needs a cover to do your words justice. The wrong design, even if it looks nice to you, might send the wrong message to readers. If you’re prioritising what to budget for this is a one-time investment that will do your book endless good. So far, I’ve designed my own covers, but if I found I was out of my depth (which is extremely likely with my next novel) here’s where I’d look. 99 Designs – a design site that lets you host a competition to find the ideal designer for your book. Post your requirements and budget and professional designers will pitch for it. You only pay if you commission a suggestion. 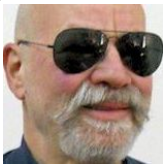 Smashwords has a list of cover designers that other Smashwords authors have used and would recommend, both for ebooks and for print – email list@smashwords.com and ask for ‘Mark’s list’ (that’s Mark Coker,the very approachable inventor of Smashwords). The Book Designer – fantastic site by design veteran Joel Friedlander. He holds monthly book design competitions, so you can browse and find a designer whose work hits your sweet spot. He also writes some of the help entries on the CS site, though he’s not affiliated with them. He’s just a generous-spirited, knowledgeable guy. When talking to a designer, make sure they know the book will be print on demand. POD processes sometimes don’t crop a book straight, or line up the spine precisely – so you need a design to forgive that kind of error. Interior design CS also provides a Word template for the interior. Dave tried it, and while it was quick to use and saves you worrying about page sizes and margins, it has glitches. For instance, it insisted on an ‘acknowledgements’ page and when he tried to delete it everything else went haywire. But again, you can upload your interior on a PDF – and that way you have complete control. Dave and I create our book covers and interiors on Serif PagePlus – much cheaper than the top-end packages like Adobe InDesign, and more versatile than Word. 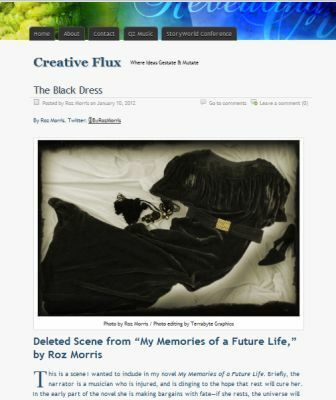 Here’s my post on formatting the interior of My Memories of a Future Life. It’s fiddly, but if it gives you an attack of the vapours, freelance designers can do it for you. Philippa: I understand Amazon is difficult about stocking books put out by LS, yet LS may be better for distribution to Europe and Australia. We’ve frequently found our Amazon listings for LS books are quoted as out of stock or ‘available in six weeks’, for no reason. When queried, Amazon reply that they get the data from the supplier. The supplier said the book was available. In fact, when you do order, the books arrive as fast as any other book. But buyers don’t know this. The same used to happen when I published Nail Your Novel with Lulu. Pause a moment to growl and stomp. Initially, LS gets books to the European Amazon sites more quickly. When you approve for press, the cover artwork goes up within a week. With CS, books go to Amazon.com immediately but expanded distribution to the UK site and further takes a good two weeks, sometimes more. Some writers make CS editions to sell on Amazon, and LS editions for other channels. I’m not sure about the logic of that because once the book is up it’s up. You make more profit per copy on LS than you do on CS, but LS charges setup fees – GBP£42 to set up each title, and a handsome hourly fee to give you proof copies. If you want to make changes on LS books that can get you into more expense and if there’s something wrong with your files they’ll charge you while they fret about it. As their PDF requirements are a lot more strict than CS, you could find yourself spending a lot of time and cash if you’re new to this. CS don’t have any hidden charges. Proof copies don’t cost any more than ordinary copies. However, CS quotes long shipping times (6 weeks) in the hope you’ll stump up for express shipping – especially if you’re eager to get your proof. Ignore those quotes and get the cheap option – it’s never taken anything like 6 weeks for me to receive a proof copy. Philippa: I plan to print pre-publication copies to get (and then add) endorsements for the final edition. As I said, proofs cost you dear on LS. So I’d set up a rough ARC edition either on CS or Lulu, where proofs are cheaper. Then if you’re still keen on LS, save your proofing budget for the final, sparkling copy. If you want to stick with CS, changes are easy – upload a new PDF, wait a day or two and check the proof either on line or order a copy. Don’t try to do without a hard proof copy entirely. Margins in the printed book may not look as you expect. Cropping can make cover proportions look totally different. 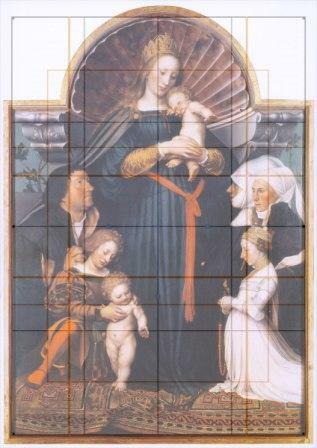 Colours can look sludgy or gaudy in the flesh, even if the PDF looked luscious. – for limbo days when my print copies are unavailable because I’ve updated the cover or interior. – for distributing my books to people who are outside the usual Amazon areas; if people contact me saying they can’t get my book, I direct them to Marketplace or sell them a copy directly using Paypal. See the offer of ‘new’ and ‘used’ copies? Those are third-party sellers on Amazon Marketplace. One of them is me. As for the others, how could they? Philippa: What about the tax issue for a non US writer publishing with CS? As with Kindle, CS deducts 30% from your earnings unless you send an exemption form, for which you need a US tax code. Here’s how you get it. I’d advise you sort the paperwork before you start selling, as CS can’t refund you the tax. You have to apply to the IRS, which by all accounts is like shutting your eyes and wishing really hard. Phillipa: What’s CS service like? I’ve been pleased so far. Their support team are quick to answer questions, and patient with what must be moronic queries. Mind you, I haven’t had any real problems, which is usually the acid test. Dave had mighty problems with a graphic novel he was producing with LS, and found their UK help people were clueless and obstructive. But that was a full-colour book with high-resolution graphics. With straightforward text we’ve had no problems. Is the Amazon connection with CS a genuine benefit? Undoubtedly. As we’ve seen, it seems to be ‘easier’ to keep a CS title in stock. I find my CS titles regularly get promoted in ‘three-for-two’ offers (see pic) – especially Nail Your Novel. It gets offered with other top-selling writing titles – priceless promotion that you couldn’t buy. 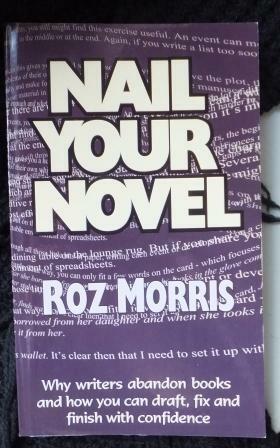 This never happened – ever – when my print edition of Nail Your Novel was on Lulu. Philippa: My book is probably the most unmarketable book ever written. I believe it will have a market but it will be up to me to find it. Do you know of anyone who has signed up for CS ‘marketing’ help? I don’t, and I’d like to hear from people who have. But I would be wary of standard packages, especially for unusual works such as yours. Expert help is always worth paying for, but it has to be the right expert. What works for one book won’t work for another – as I know from the vastly different experiences of marketing an offbeat novel starting from a writing advice platform! To be honest, I’m still guessing – I’m soaking up lessons from novelists who have marketed successfully but the less easily you fit a widely read genre, the fewer equivalents you have. Bide your time, understand who your audience is, and find out how similar writers have reached theirs. If an expert for marketing your book is out there, one day you’ll trip over them. If you are not a US citizen or resident in the US and you want to publish on Smashwords, Amazon Kindle or CreateSpace, your earnings will be taxed unless you have an Individual Taxpayer Identification Number (ITIN). This means that 30% of your money is kept before you ever see it – and then when you get the payment you have to pay your own country’s tax rate all over again. Not good, huh? But Amazon will pay you gross (without tax) if you provide an ITIN. So an ITIN I would have. Boy was it difficult. I had three goes. Yes, three – about as many as my driving test. Then I had another two with the form you then have to send Amazon. And I regard myself as pretty good at following instructions, so this seriously annoyed me. The problem is, the IRS is incredibly pedantic and doesn’t tell you half the things you need to know. So to protect your blood pressure and stop you spending unnecessary money, I’m going to tell you how to do it. No. Just don’t. If you look on the IRS website they talk about acceptance agents in the UK. Do not touch with a bargepole. I phoned one and they wanted to charge me £500 to handle the application. However, they sounded so ashamed that I persuaded them to tell me the tricky bits I needed to know, like treaty numbers. Get a form w-7. You need to know treaty numbers but I’ve outlined them in red in the picture above. I’m in the UK so this is the treaty number I need, but if you’re outside the UK you can find the right number here on the detailed notes for the W-7 form. In the IRS notes it wasn’t clear that two boxes had to be ticked in this question, not one. UPDATE The forms have now been updated and the treaty number is now different. New info on tax treaty numbers is here. This was also a royal pain. At first Amazon told me all I needed was to print out their terms and conditions and my listing. That was rubbish.You need a proper letter addressed to you. Hi – because I live in the UK I understand you will take US tax off my revenues from selling via Createspace. I want to apply to the IRS for the exemption so that you can pay me gross. I understand I need some documentation from you to support this. You need to prove who you are with a notarised copy of your passport, of course. There is only one type of copy the IRS will accept. Not, as they imply on the form, any notarised copy – the kind you can get from the post office or your doctor, even though they are accepted just about everywhere else and you have to pay for them (which is what I wasted money and blood pressure on). You need your passport notarised by an officer of the IRS. You can find an office of the IRS at the US embassy. If you’re near London, visit them in person. I went there with my form and my CreateSpace letter and a charming chap there filled in everything for me, copied my passport and sent it off. Plus we had a lovely conversation about the time he was a spy working undercover in Hungary. He’s going to write a novel. Before you wonder if that’s worth the faff let me tell you this – it’s FREE. If you can’t get to the embassy in person, phone them. Other people I spoke to on Facebook said they did this and hung on for a while and eventually someone answered. They’ll then tell you what to do – though you’ll have to trust the postal service with your passport. But honestly, even if you have to try several times before you get through, it’s much better than spending £500. Eight weeks later, I had my ITIN. Then I had to send another form to Amazon, a W-8BEN (you can download this from the IRS website) . 2 do not abbreviate the country name, even though the space for it on the form is tiny. Believe it or not, my first go was rejected because I did this and I had to post another one to the US. The neighbours all heard as I leaped about, spluttering ‘do you mean to tell me these people can’t tell that UK means United Kingdom? And they have jobs?’ But the IRS is looking for reasons to reject. And not following these footling rules will get you rejected. Find an example of exactly how to fill in W-8BEN here. Residents of some countries can now bypass the initial form-filling and call the nearest US consulate for an EIN. Tell them you are a ‘sole proprietor’ and you are an author selling ebooks in their country. Tell them it is for compliance with tax withholding – and you get the number there and then. Wow. After that you’ll still need the W8-BEN – but that’s one stage of faffing and waiting dispensed with! The rules have recently been updated, and WilderSoul was kind enough to send me this link of FAQs, including the requirements for support documentation. Sign up for my newsletter! Add your name to the mailing list here. 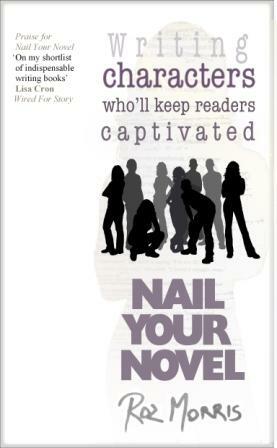 Kindle Nail Your Novel now on sale! Some people would say it’s about time too, as for a while now I’ve been getting requests to put my book Nail Your Novel onto the Kindle. What took me so long? Two things. But I’ve been knocking around writing blogs for long enough to know that we like our own ways of reading. People who read on the Kindle want their books in that format and some of them don’t even buy print any more. At the moment I prefer paper and print, but other people prefer pixels. I designed the print version of Nail Your Novel with sections and sub-heads, identified by typefaces – a legacy from my years in magazines. As the Kindle does away with typefaces, how was I going to make it look right? The very thought of it was nailbiting. Until I happened upon this blog post by Cath Ryan Howard of the blog Catherine, Caffeinated: How to format your e-book without the migraine. She made it look so simple I thought I’d have a go. She also references the Smashwords Style Guide, which filled in the whys and wherefores and is so darn clear that it deserves a plain English award. It’s deesigned for epub, but the principles also hold for the Kindle. With these open on my desktop, I had most of what I needed. Even with my complicated format, it was easy peesy. Yes, bold and italics will work on the Kindle. Apply them as you normally would in Word with the toolbar buttons – they translate just fine. Bullets don’t work on the Kindle. So I rewrote the bullet-point lists as numbered lists. If you’re writing non-fiction you’ll need a hyperlinked contents page, and you may want cross-references to increase the book’s usability. I found this post from Foner Books answered my remaining questions. You do not need an index as there are no pages, but there are a few electronic markers you need to put in to identify the start of the book. You also need page breaks on a Kindle, which you don’t need on an epub book. The Foner Books post explains it all. Without a Kindle, how could I check it worked? Fortunately the Kindle publishing system has a simulator. Upload your file, check it looks okay, tweak as necessary, upload again. You needn’t worry you’ve published prematurely as you have to go through several more steps to actually launch your book on Amazon. As an extra, a friend converted my file to a format called Mobi and was able to test it on her Kindle. She gave me the thumbs up – and we were ready to go! So…if you’re wondering about putting your book on Kindle, all I can say is do. It really is easy. Read the first 16 pages for free here – although on Kindle you can get a sample anyway. 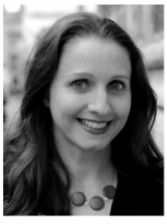 Read reviews from Sarah Peppel (Novel Inspirations from Nail Your Novel) New Book Blogger, listen to me talk about the book to Joanna Penn here. Also I’m going to be popping up in a few guest posts around the virtual town, so stay tuned. And, one final time, here’s where you can buy it in the Kindle Store US and UK. Although if paper is still your thing, you can find it on Amazon.com here, or if you’re outside the US on Lulu here.